Why Study and Support Classics at University? When thinking about the choice of subjects to study, or support, at university, it might seem that choosing an apparently relevant subject – one appearing to lead directly to a career and a salary – is a sensible choice, and especially in times when the economy is less than strong, jobs are scarce, and the pressure is really intense to succeed. Should you not seek to learn some relevant body of knowledge that an employer will – you hope – want in the couple of years when you graduate from college? Should parents not encourage such practical, sensible, decisions? I wish to suggest the answer is no. What is really important is to learn how to think, and how to develop flexible, critical, powers that can be applied to any situation all though life. Whatever specific, practical, knowledge one might learn for any career will rapidly be out of date. People trained for a specific task or skill will quickly, inevitably, be like an ‘app’ that no longer works with future operating systems, or on the new hardware. One of the few certainties, other than taxes and death, are that any current skills and needs will change – and in the modern world quite rapidly. The only time-proof, life-long relevant, learning is about how to think critically, how to express yourself, how to analyze and quantify, how to address the big, timeless, questions that have faced humans through the generations, and how to appreciate beauty and distillations of human experience and expression. This is what a so-called Liberal Arts education seeks to provide, develop and hone: the ability to think critically, to reason, and to communicate. These are the ingredients for life-long success in all careers; the basis to take on all challenges. The liberal arts prepare students to challenge the big questions, to go further. Of course, much of this can be gained by reading for oneself. Ideally everyone should read and read widely. A life minus great literature and thought is a life less full (and no: watching the Hollywood film of the book is not the same). The foundation of the Liberal Arts is Classics. The distilled record – the languages, texts, art and archaeology – we have from over 2000 years from Mycenae and Troy, to the world of Constantinople, through especially ancient Greece and Rome, combining great thought, wisdom, and beauty. The Classics explore questions, passions, and fears common to all humans, offering perspectives and answers of perennial relevance. The Classics range from the timeless works of literature, starting with Homer and the ancient Greek world, to Vergil and the rich Latin corpus, to the key foundations of western philosophy and critical approaches to thought and analysis – exemplified by Plato’s accounts of the teaching of Socrates – to the origins of historical and political analysis – think Thukydides – to maths – for example Archimedes, to architecture – for example Vitruvius, through to the material origins of western art and aesthetics, and of urban society and structure. The study of Greek and Latin, of Classical literature, philosophy, art and archaeology, form the heart of a Liberal Arts education and offer any student an extraordinary and timeless introduction to what is essential and important in life. Now, and in the future. You also get the extraordinary experience of working in the company of greatness, guaranteed. The offer is to join a conversation on the key themes (good and bad) of human life, history and expression, a conversation that was already old when Homer was written down (from earlier, oral traditions) some 2700 years ago, to the Roman engagement with Greek culture and their own transformation of the greater Mediterranean world and much of Europe, to key figures and thinkers through later history, like Machiavelli some 500 years ago, who were strongly interested in and influenced by several classical authors, to the Founding Fathers of the USA whose views were strongly influenced by classical authors, and to the present day. The much publicized attempts to destroy a number of famous archaeological sites, structures and objects (including rare historic books) by ISIS/ISIL in recent weeks (http://www.cnn.com/2015/03/09/world/iraq-isis-heritage/) – adding now Dur-Sharrukin, built as the capital of Assyrian King Sargon II in the late 8th century BC – have led to much outrage, and even for calls for intervention to protect this heritage – http://www.theguardian.com/world/2015/mar/09/iraq-condemns-isis-destruction-ancient-sites. Two members of the Cornell Institute of Archaeology and Material Studies, Adam Smith and Sturt Manning, have written pieces in the past few days reflecting and commenting on this terrible destruction of human heritage that should be of concern and interest to all humanity, whatever country you live in. Looking at history, recent to ancient, many an extremist group has tried to destroy structures, objects and images from the past (often but not always claiming a religious justification – the latter falling especially under the general category of iconoclasm, with the term itself telling us there is a rich history of such attempts to erase history – see, for example, the Wikipedia entry – and for those interested in a scholarly treatment, see Alain Besançon, The Forbidden Image: An Intellectual History of Iconoclasm, Chicago University Press, 2001). When this occurs we, all, of course lose – testaments to humanity’s achievements, desires and existence are damaged or lost. Our only real defense is to commit to remember all the harder. The only good news out of this tragedy? History often wins despite the many attempts to erase it. We end up studying fragments, ruins, traces, recreations – but we study and remember. Tourists flock to sites where other humans have tried to destroy to see and to be told what was lost. The destructive act, contrary the desire of the destroyers, often ends up enshrining the destroyed as important and worth attention. The closed mind ignorance of the iconoclast serves to remind everyone else to celebrate the richness and variety of human existence; to remember what others would wish us to forget. Of course, it would be better to prevent the destruction in the first place. Time and entropy already challenge our ability to know the full human past. Education is key. For a collection of reports on the FIRST Act and its progress, and on the debate around this act from Science magazine, see: http://news.sciencemag.org/tags/first-act. One of the targets of the FIRST Act cuts to funding for the NSF’s Directorate for Social, Behavioral & Economic Sciences would be support of graduate student dissertation research via Doctoral Dissertation Improvement Grants in these areas (e.g. Archaeology, Anthropology, etc., etc.). This would especially affect those seeking to conduct research projects outside the US. For a discussion by a US PhD student in Anthropology supported in part by the NSF, who works on a Japanese topic (and is presently in Japan doing research), on how the FIRST Act would affect work like hers, and why we should instead support and value such research, see: http://www.anthropology-news.org/index.php/2014/07/07/a-defense-of-nsf-funding-from-the-field/. “On July 9, the House subcommittee that oversees funding for the National Endowment for the Humanities passed a bill to fund NEH at its lowest level (in constant dollars) since 1972. If enacted, this $8 million cut would bring NEH’s funding level to just $138 million for 2015. NEH’s funding has already been severely cut over the past four years, and additional cuts would fundamentally erode NEH’s capacity”. And, in case you are wondering about the photo in the Fox News piece? The photo was taken at the Late Bronze Age site of Kalavasos Ayios Dhimitrios, Cyprus. The Late Bronze Age on Cyprus dates between ca. 1700-1100 BCE. With me are (left) Jeffrey Leon and (right) Catherine Kearns, both currently completing PhDs at Cornell. I post here a different version of the photo showing some more actual archaeology (photo taken by Andrew Viduka). At this time of the year (Fall/Autumn) would-be graduate students think about what to do, where to apply, and what is the meaning of ‘life, the universe and everything’. As a Professor of Classical Archaeology, I get a range of inquiries from students who would like to pursue study in the general area of Classical-Mediterranean archaeology. Cornell has a concentration in Classical Archaeology in its Classics Field (see: http://classics.cornell.edu/graduate/concentrations/archaeology.cfm; for the Cornell Graduate School, see: http://www.gradschool.cornell.edu/; for Cornell’s Institute of Archaeology and Material Studies, see: http://ciams.cornell.edu/about-ciams/). (ii) And what should you know when considering this choice? 1. First a caveat: other areas of archaeology are fabulous too! Archaeology overall is unique in the humanities and sciences as it seeks to explore, understand, and explain the total time-span of human activities and material engagements on Earth. But this blog is focused on the areas of Classical-Mediterranean archaeology. Classical archaeology today covers all aspects of the study of the regions of the Earth within or neighboring the area of the greater classical world within a time-span typically from the origins of farming and the first towns (the Neolithic) through the post-Roman world of Late Antiquity. 2. If? Suppose you read below and feel you are not quite prepared yet, or firmly committed, but you really want to study graduate archaeology? The answer may be to consider taking an MA or equivalent first, both to establish background and CV, and to clarify what you really want to go on to study and work on. One example, shamelessly recommending my own University and its Institute of Archaeology and Material Studies, is the MA in Archaeology at Cornell: see http://ciams.cornell.edu/ma/. If lack of ancient language preparation is an issue – see below on this topic – then one option is to consider a Post-Baccalaureate program in classics as offered by a number of institutions (for a list of institutions in North America which offer graduate programs in Classics – the first column indicates those with a Post-Baccalaureate Program offering – see: http://apaclassics.org/education/list-of-graduate-programs-classics). at one time or another by the Hellenistic-Roman worlds. Neighboring regions are also important to the classical world. 3. Why? Classical Archaeology is very much the original interdisciplinary field, the literal cornerstone of much of the western tradition. It combines the rich classical worlds and their history, culture and literature with the study of the material culture, monuments, art, landscapes and entanglements of the humans who lived in and around the area of the Greek and Roman civilizations and their neighbors, and their predecessors, and successors. See Map for approximate main area (plus then neighboring areas). The field engages with several thousand years of human lives, thoughts, actions, experiences and desires which intellectually and materially shaped much of the world around us, from central Asia to western Europe, North Africa to Scandinavia, and, via relatively recent European transplants, North America, Australia, New Zealand, and so on. Shelley in the preface to his Hellas (written 1821, published 1822) famously stated “We are all Greeks. Our laws, our literature, our religion, our arts have their root in Greece”, and a recent book by C.J. Richard, 2010, Why We’re All Romans: The Roman Contribution to the Western World, makes some similar claims for the Romans. (For those interested – which would hopefully include would-be graduate students in classical archaeology, see, on the history of classical archaeology and art in the USA, the book by S.L. Dyson, 1998, Ancient Marbles to American Shores. Classical Archaeology in the United States; and, for a history of classical archaeology in general by the same author, see S.L. Dyson, 2006, In Pursuit of Ancient Pasts: A History of Classical Archaeology in the Nineteenth and Twentieth Centuries). This centrality is because the Mediterranean, south-west Asia, and classical worlds were home to several of the key early civilizations of the world, produced many of the most recognizable and beautiful objects and buildings known to humanity, and shaped and inspired much subsequent human history and material expression. 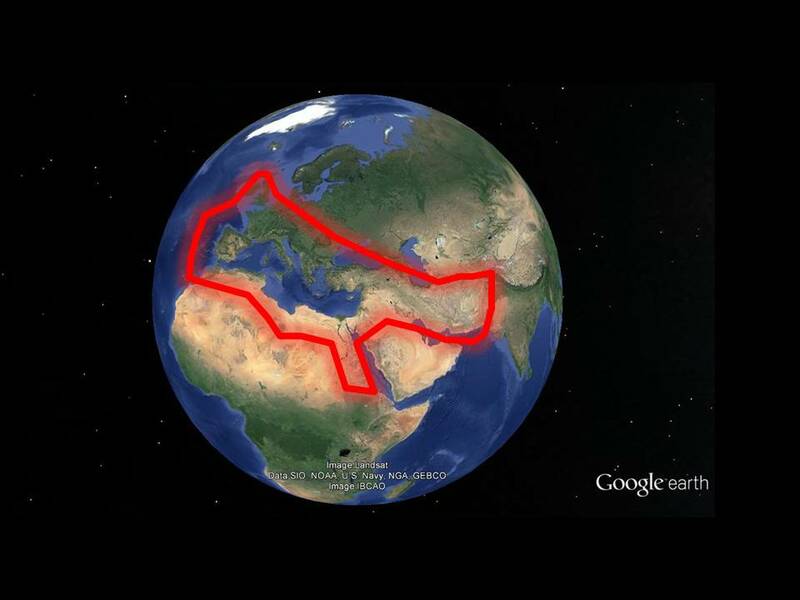 The greater Mediterranean region, the ‘Middle Sea’, formed an extraordinary cradle and conduit in the history of humanity – a relatively small region compressing an enormous range of geographies and resources around a navigable, almost inland, sea. It was a central region (and actor) in the wider human story from the Last Ice Age to the modern period. Exploring and trying to understand this complex record is both fascinating, and fundamental, as made clear in two key synthetic studies which every would-be student of classical archaeology should aim to read: (i) Broodbank, C. 2013. The Making of the Middle Sea. A History of the Mediterranean from the Beginning to the Emergence of the Classical World; and (ii) Horden, P. and Purcell, N. 2000. The Corrupting Sea: A Study of Mediterranean History. Classical archaeology at a North American university comprises the study of the material culture – that is the landscapes, monuments, sites, artifacts and art – of the ancient Mediterranean world and western-central Europe north to Britain, as well as the neighboring regions and cultures. The field typically explores the period from the prehistoric era through to the Late Roman-Byzantine world, with a central focus on the civilizations of Greece and Rome. In recent years more emphasis has gone to considerations of those civilizations and areas on the margins of the Classical World, but which exerted significant influence from prehistory to late Antiquity, in particular to the east: Egypt, the Near East, and central Asia. It is important to remember that the Roman Empire, and its Hellenistic fore-runner, was merely the western end of a set of empires which formed and re-formed across the mid-latitudes of Eurasia from late prehistory to the modern period. 4. Requirements? How can you aim to be suitable for admission to a graduate program in classical archaeology (and of course win funding)? (i) Ancient languages. Yes, it is classical archaeology, but all major programs require some background in at least one classical language (i.e. either ancient Greek or Latin) even to be seriously considered. Further, most major programs require students to achieve at least a reasonable competence in one of these languages before moving to the all-but-dissertation (ABD) stage. And you will be recommended to try in fact to acquire some standing in the other language if possible. This language requirement makes sense for two reasons. First, looking forward, if your aim after the PhD is a faculty position in a Classics Department, then competence in one or both languages is something of a sine qua non. Second, unless you plan solely to work in the prehistoric period, knowing one or both languages is relevant/useful/essential for your research. So, as an undergraduate, you should try to acquire at least a couple of years, or more, of either ancient Greek and/or Latin. If you are reaching the end of your undergraduate career, and you do not have much ancient language background, then options to consider are looking for intensive summer courses, and looking at Post-Baccalaureate Programs in classics (see 2. above). (ii) Archaeology. Take some courses that give you evidence of background in classical archaeology and art-history, and also wider archaeology (so look at anthropological archaeology courses, Near Eastern archaeology courses, for example). If possible, seek to volunteer to be part of an archaeological project. This is likely going to be a highlight of one or more of your summers. If this is in the classical world, fine, but anywhere (including locally) is OK. The point is for you to see if you actually like fieldwork, and to impress a graduate committee that you have sought out real archaeological experience and worked successfully on a project. For suggestions of possible projects, ask the archaeology professors at your university, or look at e.g. the Archaeological Fieldwork Opportunities Bulletin (http://www.archaeological.org/fieldwork/afob). (iii) Modern languages. Most programs will require you to pass a (fairly basic) reading exam in two modern languages – typically French and German –before becoming ABD. It is also important: a great deal of significant literature relevant to many topics in classical archaeology is written in non-English European languages, especially French and German (but for some areas Italian, Spanish, modern Greek, etc., may be as or more important). Thus to make yourself a strong applicant, and to get a head start, take one or more foreign language classes as an undergraduate, and especially consider French or German. (iv) Personal statement. Make sure you have carefully researched the PhD programs you wish to apply to. Contact some of the professors, and especially those you think you would be interested to take courses with, and to work with. Your personal statement should make it clear that you want to come to the X (e.g. Classics) Department at Y University for their PhD (if general) or specific program/concentration (if there is one) for reasons based on your research of the program and mentioning some of the professors you want to work with and why. Explain your background and preparation and why you are suitable for admission. Give some indication of the research areas that interest you and why – but not too much detail and especially do not be too definite and determined that you will only study one specific topic (remember part of the point of the first couple of years of a PhD program is to experience additional areas and approaches, and you should seem open to development and seem teachable and able to develop – you may not, perhaps even should not, clearly identify your specific PhD topic until a couple of years into the program having read much more, taken new classes, talked more with faculty and other graduate students, and experienced more in classes, in labs, and in the field). Minimize dramatic ‘my whole life has been preparation for this’ type paragraphs – go factual and positive and professional. (v) Writing sample. Utterly key. Yes you need good grades (obvious), and GRE scores (obvious) and yes you need some (three) professors who are prepared to write strong recommendations for you (obvious), but by far the most important thing is an impressive writing sample. This will likely be read both by professors interested in classical archaeology and those in other areas of classics. You need to impress both with a well written, interesting, and engaging paper. The paper should show evidence of thoughtful writing – independent critique and analysis by you – and the ability to use (and not just describe or list) evidence to make an argument. It should be properly referenced. Talk with your undergraduate professors. Select your best paper(s), discuss how they could be better. Consider a re-write. If there is an option to write a senior thesis – do so. Hopefully this can form a suitable writing sample. If you do not enjoy doing a senior thesis then reconsider your plans for graduate school. Is this not all dreadfully conservative? Is archaeology not as important as, and independent of, the text-based approach to the classical world? Are we not breaking away from old stereotypes, and accessing a past beyond the world of the elite (almost exclusively) male literature studied for centuries from the Greek and Roman worlds? What about new anthropological approaches, archaeological science approaches, visual culture approaches, etc? Yes, yes. But… In the North American model (contrast Europe where there are regular departments of ‘Archaeology’), you have to fit at least somewhat into the disciplinary structure or you will simply not gain admission. Nor will there be any job for you to go to afterwards. You have to sort of fit the mold in order to then break (or re-shape) the mold. Plenty of exciting and radical work is on-going in graduate classical archaeology right now in the USA – but you have to gain admission first. Then you can seek to blend new interdisciplinary directions, ask new questions of previously non-studied data, push frontiers, use or develop archaeological science or IT techniques, and so on. And you do so starting from a solid platform, as a substantive scholar. 5. Where to apply? There are some strong general programs, including those well integrated with cognate departments/fields at their university, but key is to identify some faculty you want to study and work with. Do research: that is what the web is for. If you are really interested in the earlier, prehistoric periods, then do not apply somewhere which only does later material and topics. If you really want to do art-history in the classical period, then again choose appropriately. Do not apply somewhere where there is just one suitable faculty member – pick places with at least a small group of relevant faculty. See what resources are there – in particular: the library. If possible, visit and have a look, and meet some of the faculty (faculty are usually very happy to meet prospective students and to discuss their options – faculty want to recruit applications from good applicants too). The top programs are much over-subscribed and so very competitive in terms of getting a place. But, of course, every year students get places at each of these programs – so it is a case of you making the best application you can (see above). Only apply to programs you really would like to go to. If you get one offer: be delighted. Do not apply to somewhere you do not want to go to. Graduate school to PhD is 5-7 years of your life – the decision to go to graduate school is a very important one in your life; you should only go to a place you really want to go to and which seems right for you. Your application list should all be first choices. If you get more than one offer: wonderful – you then have to decide among good choices. Top programs? This depends on your preferences. It is not a case of picking a famous university. Study the offering and faculty in classical-Mediterranean archaeology (and related) carefully at each institution. A number of the ‘top’ universities in the USA at present do not in fact have strong Classics Departments, and especially classical archaeology programs. Centers of gravity change over time: you should try to go to a currently strong, or up-and-coming, center. Look for faculty who are not already emeritus or very close to. Check the scholars are research-active. Again look at the Department webpages, but also check out e.g. Academia.edu to see what the faculty have been doing in the recent (last 5 years) period. You want major active scholars who will be good to shape your studies and career, and write recommendations, for the next 10+ years. You of course do want a university with a major research library and associated resources – check. North of the border it is also worth looking at both the University of Toronto and the University of British Columbia. Archaeology is the study (by all available means) of how and why we have become what we are: the story of human origins and history from the earliest times to the present day and of our engagements with the world around us. It necessarily focuses on material culture and remains in the prehistoric periods, and embraces texts and other sources in the historic periods. It especially offers the potential to encounter some of the (vast majority of) people not included in the elite’s written history of the world until the modern era. Archaeology as a field has undergone a remarkable intellectual expansion over the last few decades. On the one hand, the field has embraced new techniques developed in the physical and chemical sciences for analyzing sites and objects in increasing detail. The burgeoning sub-field of archaeometry (or archaeological science) has carried archaeological analysis to the elemental and atomic level with advanced chronometric, geochemical, and radiometric techniques. At the same time, ongoing engagements with archaeological theory have pushed the field towards increasingly sophisticated accounts of the materiality of social reproduction from the remote past to the immediate present. Hence, archaeology has redefined itself from a study of past artifacts to an encompassing approach to the historical development of human relations with our material world (landscapes and things). At Cornell we aim to pursue this conversation joining the humanities, social sciences, and physical sciences via the Cornell Institute of Archaeology and Material Studies (CIAMS): http://ciams.cornell.edu/about-ciams/.